If you haven’t already secured your space at this year’s Polo Party, don’t wait any longer! WHO: Polo enthusiasts, car lovers, equestrian aficionados, families, and those looking for fun in the sun. Approximate attendance of over 10,000 guests! Four matches with visiting teams from Palm Springs, La Jolla, Palm Beach and returning champions from Aspen Valley, featuring GQ model and #1-ranked American polo player Nic Roldan. This year will also have a Sunset Match featuring the most beautiful women in American polo. WHAT: The Bentley Scottsdale Polo Championships is back for its sixth consecutive year! With the breathtaking backdrop of the McDowell Mountains and beautiful white tents lining the field, “The World’s Greatest Polo Party” will again be a weekend destination for both locals and tourists. 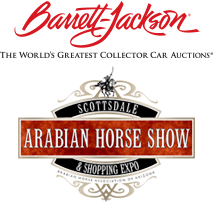 A variety of event offerings, including the new “Most Beautiful Ladies of American Polo” match in conjunction with The Cultural Concert and finale fireworks, and with returning favorites The Canine Couture Fashion Show and sneak previews of the 2018 Barrett-Jackson Collector Car Auction and Scottsdale Arabian Horse Show, the event provides a diverse customer base. WHERE: Polo Field at WestWorld of Scottsdale. WHEN: Saturday, November 5th from 10am – 6pm. Times are subject to change with event schedule. WHY: Scottsdale, Arizona is one of the country’s finest resort communities people come from the world over to enjoy. This event showcases one of Scottsdale’s signature elements – the WestWorld Equestrian Center, home to the world famous Barrett-Jackson Collector Car Auction and Scottsdale Arabian Horse Show. This event appeals to high net worth individuals and garners national and international media attention. A report filed with the City of Scottsdale showed a $2 million marketing value! And the United States Polo Association, the governing body of the sport, has held its annual meeting in conjunction with the event. VENDOR APPLICATION: A limited number of vendors for the superb crowd will be credentialed to participate. Apply by completing this packet and submitting to Info@ThePoloParty.com by October 1st! The cost for the vendor booth is $415 for each 10’x10 space, which is shaded and includes an 8-foot table with black linen, two chairs and access to electricity. Vendors will be located on “Main Street,” the highest-traffic area between the tents on the south side of the field and automobile displays. For more information please go to www.ThePoloParty.com.